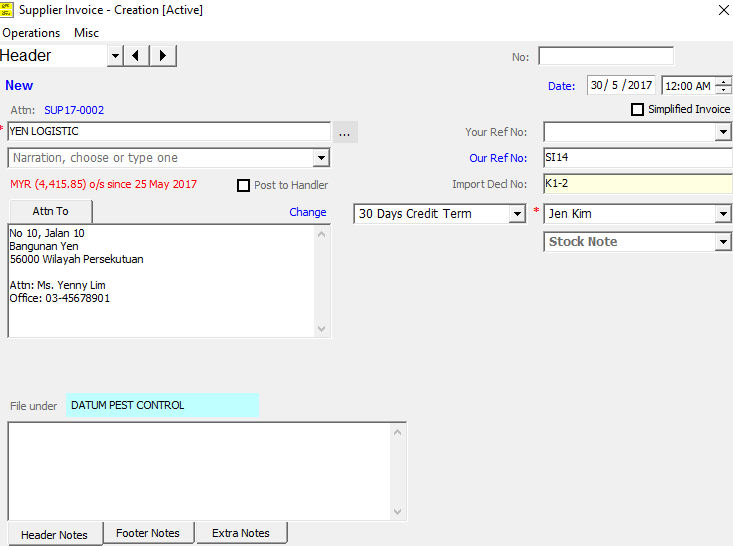 Create Contact for Foreign Supplier. 2. 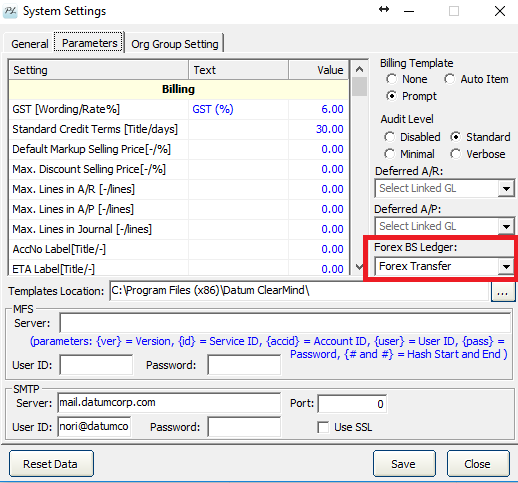 Create/check GL code for Forex Transfer, then link with Forex BS Ledger at System Settings. 3. 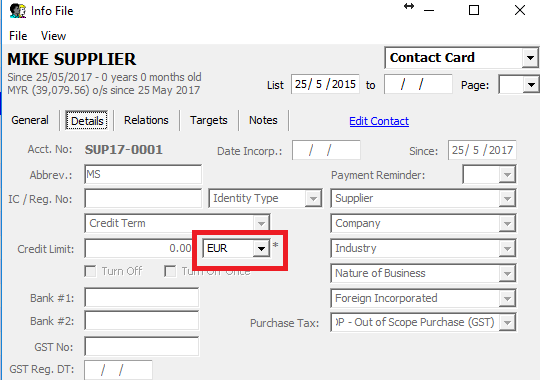 Create Supplier Invoice in Foreign Currency. 4. 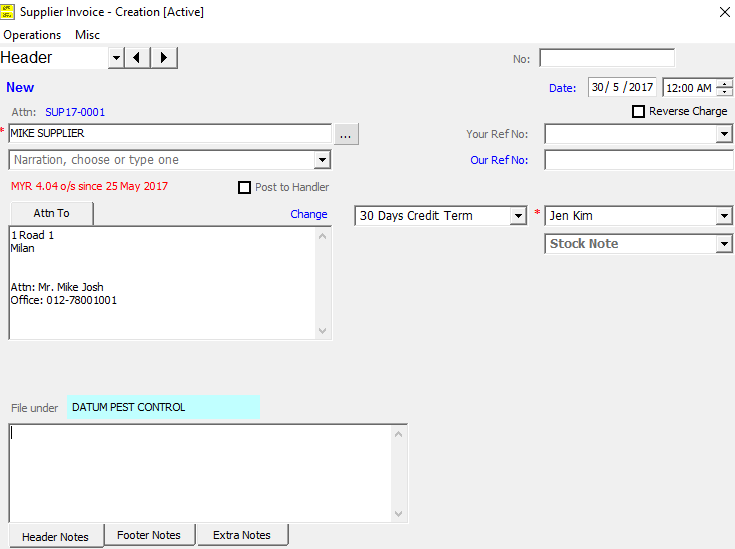 Fill in Supplier Invoice details. 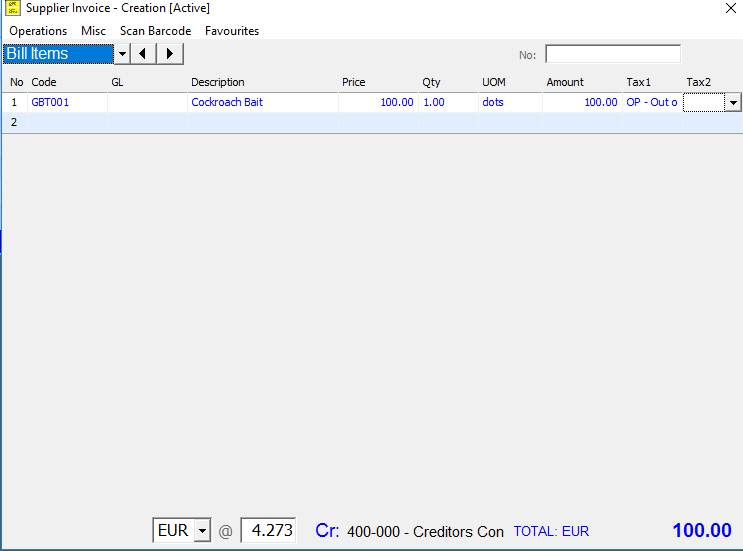 Select the tax code as OP – Out Of Scope and make sure to select the foreign currency e.g Euro and key in the conversion rate. 5. 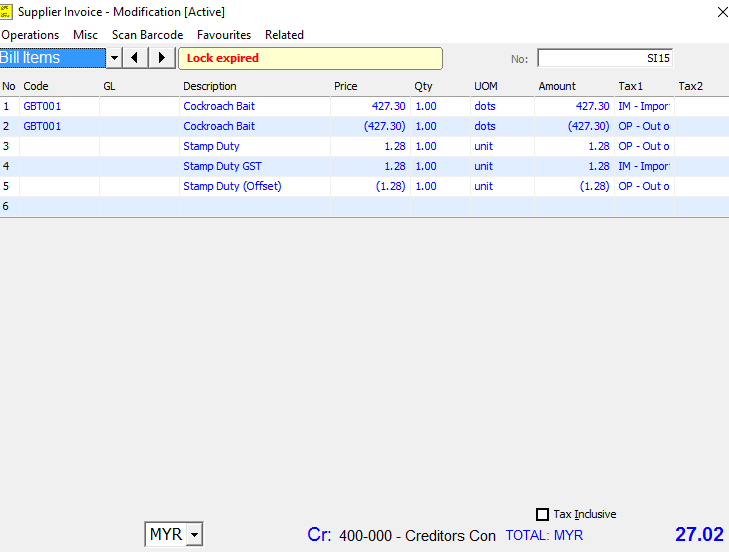 Create Supplier Invoice for logistic and custom duty. 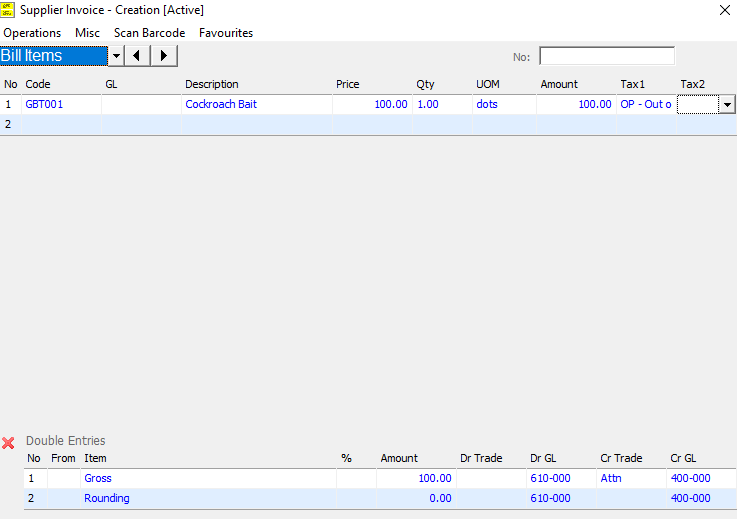 Select Our Ref No to link with supplier invoice with foreign currency. Then, Import Decl No will appear for you to key in custom form number. 6. Fill in balance details eg. 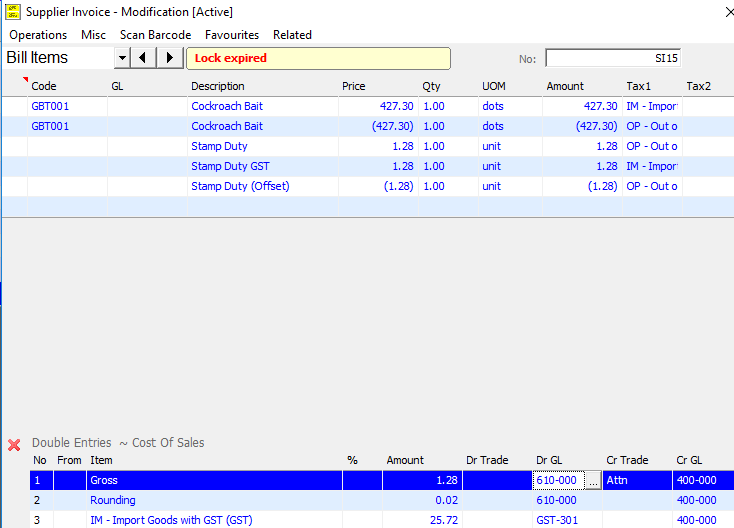 stamp duty in the logistic and custom duty supplier invoice.